The Destruction Of 152 Episodes Of Doctor Who | Warped Factor - Words in the Key of Geek. Between 1967 and 1978 the BBC destroyed thousands and thousands of hours of their shows which were either stored on videotape or film. Their main reason was that they saw no long term value in keeping these programmes! Now, as much as that statement may beggar belief, let me try my best to explain things from the BBC's point of view. The period of time we're talking about was very different to today's multi-channel/SKY+/DVR/Torrent/Streaming television that we are used to, and very few people owned a VCR (although they could be purchased the price was still out of your average persons reach). 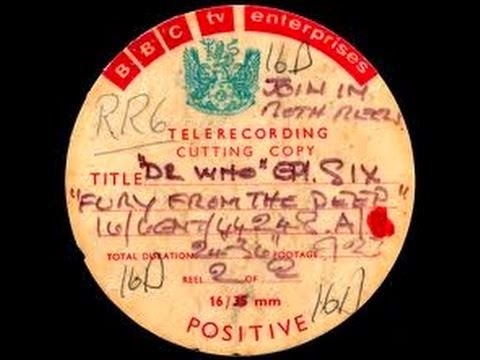 The BBC would record Doctor Who on 2" videotape for its initial broadcast, then telerecord it on to 16mm film for commercial sales and send copies off to BBC Enterprises and one of their many film libraries. The actual videotape would be stored at the Engineering Department for possible repeat viewing. Which brings us to one of the biggest reasons behind the junking. The BBC could only repeat programmes a limited number of occasions, and then only within a short window of time. This was all down to the actors union, Equity. They had campaigned against the recording of television shows whilst the medium was in its infancy. Equity was concerned that its members would be cheated out of income if a programme was repeated - in fact initially if a broadcaster wanted to repeat a show they would have to re-hire all the actors and perform it live once more! As I say, very different times. Clearly that had changed by the time Doctor Who hit our screens, but Equity had still managed to secure a clause in all of its members contracts that stipulated if a show was repeated outside of the agreed timeframe the broadcaster would have to further financially compensate the actors. These compensation fees were deliberately set so high that it basically made it more expensive to repeat an old programme than make a new one. And that is why the BBC saw no long term value in those episodes of Doctor Who. They couldn't afford to repeat them and they weren't to know that things would change so drastically just a few years later. The Engineering Department began destroying, or wiping, tapes of Doctor Who in March 1967. The first one to go was The Highlanders, incredibly it was junked just 2 months after its initial broadcast! 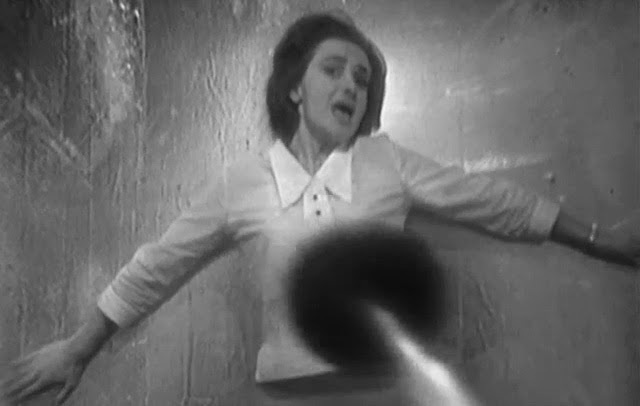 Towards the end of 1974 authorisation was given to wipe the final black and white Doctor Who story in the vault - Fury From The Deep. 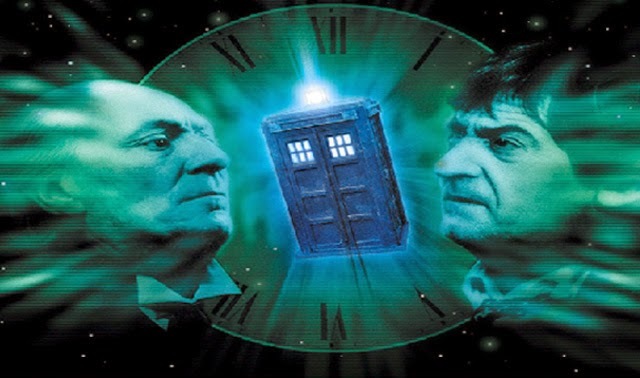 As 1975 arrived, every 2" videotape featuring all 253 episodes from the 1960s had been wiped (sad face), and the wiping continued with most of the episodes comprising Jon Pertwee's era. The very last Doctor Who master videotapes to be wiped took place in 1978, they were the first episodes of the Invasion of the Dinosaurs and Death to the Daleks. But what about those 16mm films? Hurrah - BBC Enterprises held a complete collection of all those episodes telerecorded from the original video tape. Hurrah hurrah! Until they oversold stories abroad and a few went missing. Boo. Still, as of 1972 they had nearly all the episodes from the 1960s on their shelves. But as overseas sales dried up, and the rights to do so had expired, BBC Enterprises also started destroying these cans of film - they needed the shelf space, plus, now that the world was watching colour broadcasts, who'd be interested in some old black and white show? 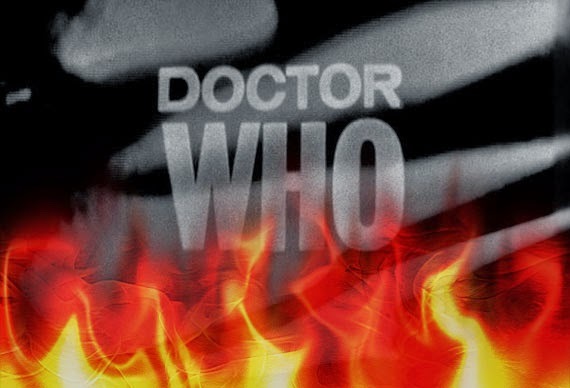 Over the next 6 years BBC Enterprises burned countless hours of Doctor Who (and of course many many other shows). Big Pantomime style BOO! But that's OK, they could always get hold of them if needed as they knew which foreign television stations they'd sold the films to, right? Wrong, they knew of most but the location of many of the episodes was a mystery, paperwork was incomplete and there's no excuse for that. Plus on many occasions the BBC had sent out a mandate to the foreign broadcasters instructing them to also destroy the film after use rather than return it - for cost reasons. It's fortunate that some stations either ignored the mandate, or in some cases sold the 16mm film on themselves. Earlier on I mentioned that those 16mm telerecordings had also been sent to various BBC Film Libraries. So you'd think that a library would be a great place to archive all these wonderful shows, right? I mean, you don't often see a big skip out of the back of your local book library with thousands of paperbacks on fire, do you? But unfortunately that's exactly the kind of thing that was going on at the BBC Film Library! Their mandate only stipulated that they had to archive television programmes that were made on film, not transferred. They believed it was the responsibility of BBC Enterprises to archive those shows (it wasn't - although they were already looking into better ways to preserve their shows), and so got rid of them as-and-when they needed the extra room for new film sent their way. This continued practice may have carried on for many more years if someone hadn't of discovered it was happening. 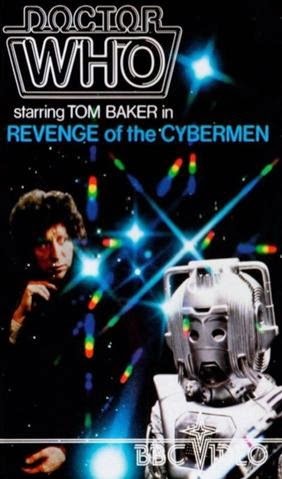 You can say what you like about record producer and uber Doctor Who fan, Ian Levine (most people already have), but his main contribution to the series did not come about through composing the 'catchy' theme tune to K-9 and Company, but rather it came in 1978 when he stepped in and stopped the continuing destruction of episodes. If he hadn't have intervened (Ian Levine - intervene, co-incidence?) then it's likely that many more of those 16mm episodes from the 60s, and even the early 70s, may have also been destroyed. Legend has it on the day he got involved all 7 episodes of The Daleks were due to be destroyed! My Lord, The Daleks!! Could you even contemplate a world where that doesn't exist? Levine literally saved them at the last minute - imagine if his train had been late. He is also responsible for the return of many of the missing episodes and continues to look for more to this day. Doctor Who fandom needs someone like Ian Levine, yes he can be loud and opinionated, but personally I feel he has done more for this cause than any other individual. So there you go. 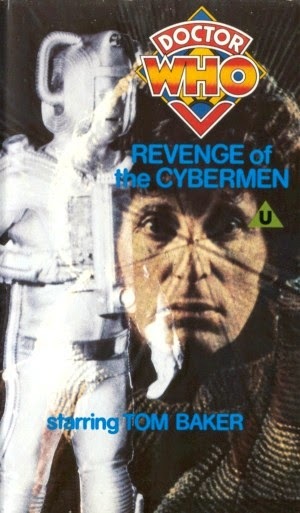 The destructive rampage finished and the home VCR boom began, attitudes towards off air recording was changing and it wasn't long before Doctor Who videocassettes became commercially available to the public (1983 - Revenge Of The Cybermen) - now the BBC could see a long term value in the show! But what's that now? 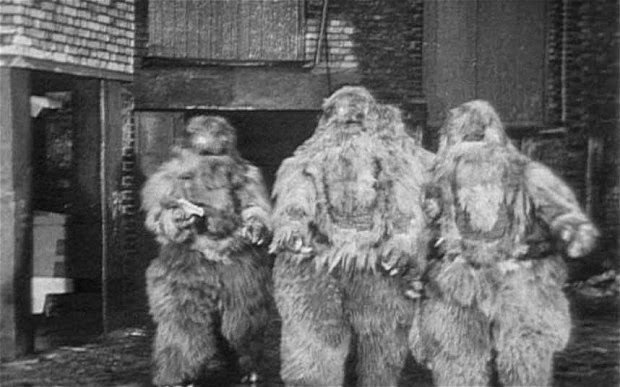 As the BBC looked through their many archives and realised that no one department was talking to the other, they discovered that 152 episodes of Doctor Who were missing, presumed wiped, and many of the episodes that did exist (from Jon Pertwee's era) they now only had on black and white 16mm film. Over the last 30+ years 55 of those episodes, along with some colour tapes and partial clips, have been recovered from a variety of sources. I firmly believe the other 97 are still out there somewhere, surely they have to be? Could they be just sat on a dusty shelf in a foreign television archive somewhere? Or could they possibly be with Philip Morris and the T.I.E.A. right now? It would be horrible to think that someone already has these episodes and, even though they know just how highly valued and important they are to thousands and thousands of Doctor Who fans worldwide, they just keep them for themselves. That's a scenario that is a definite possibility, and one I really hope is not true.